Find Coloring is Good for the Soul on Amazon. This is a large book measuring 8.5″ x 11″ with 50 coloring pages printed on one side of the page. This first book in the series features uplifting Bible verses with each design. My hope is that while you color and relieve stress, you will also connect with your faith. This book measures 8.5″ x 8.5″ and contains 50 design pages on one side of the sheet only. 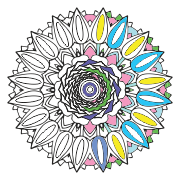 All of the design are Mandalas. Some designs are easier than others. You get to choose which image strikes your mood in the moment! This book will be available on Amazon very soon! 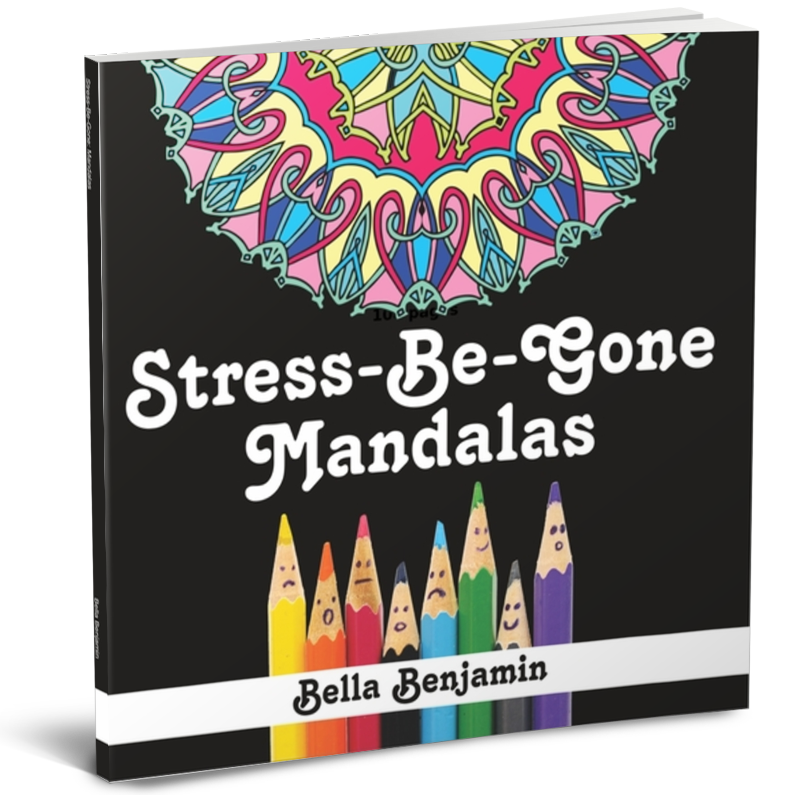 Welcome to Bella Benjamin! All of the coloring books in the series are developed with original images and patterns especially designed for your coloring enjoyment and relaxation. As the colorist, you are an integral part of the artistic and creative process as we work together. Although the design is already drawn on the page, it is YOU who brings it to life and to full completion by your choice of colors, the tools you use, and the act of coloring it according to your personal preferences. While we participate in this creative endeavor together, no two colorists will do the same thing with a design so YOU are the one who ultimately makes it uniquely your own. Relax, engage your artistic talents in a stress-relieving activity, and have fun as you produce a beautiful and meaningful work of art. 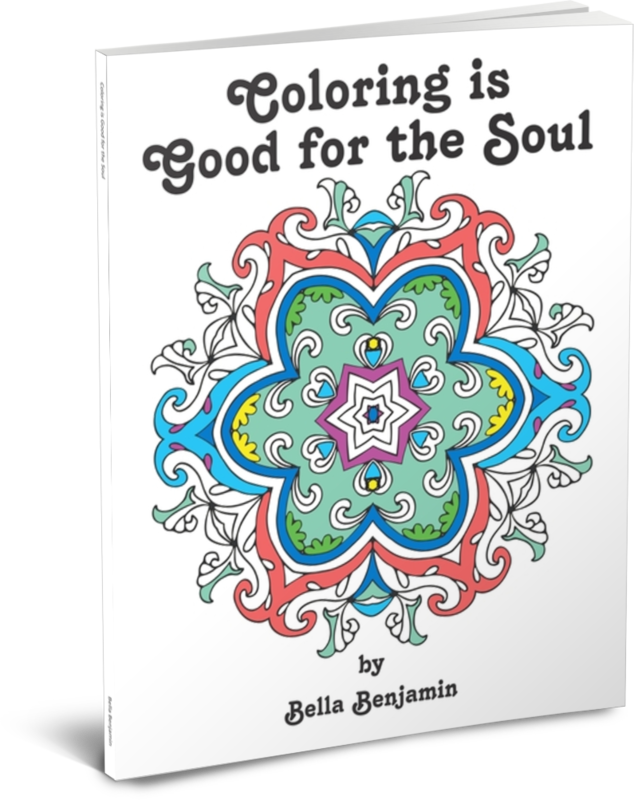 Color your cares away and, most of all, have fun – because as we all know, coloring is good for the soul. © Copyright 2015 by Lourdes Welhaven and Melly Nofal. All Rights Reserved. Lourdes Welhaven via Bella Benjamin.com is a participant in the Amazon Services LLC Associates Program, an affiliate advertising program designed to provide a means for sites to earn advertising fees by advertising and linking to Amazon.com.